It’s become commonplace for manufacturers to regularly commission custom work from top builders. 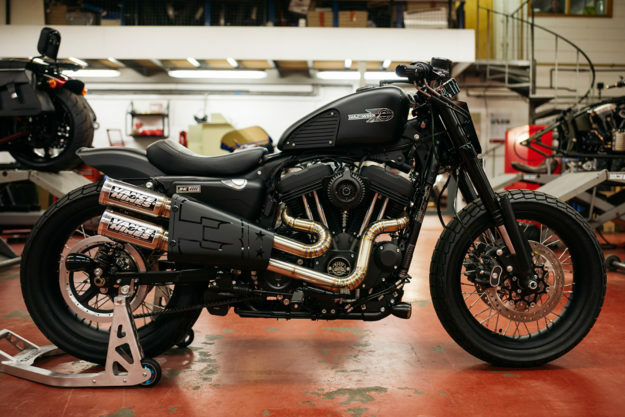 But Harley-Davidson Europe have taken a different approach. 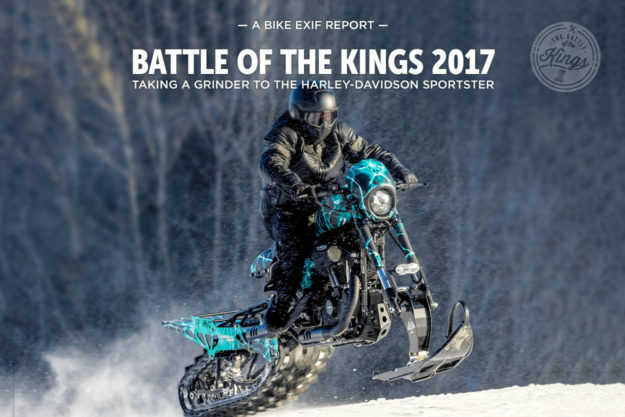 For three years they’ve run the annual ‘Battle of the Kings’ contest—calling on their own dealers to put their best foot forward. 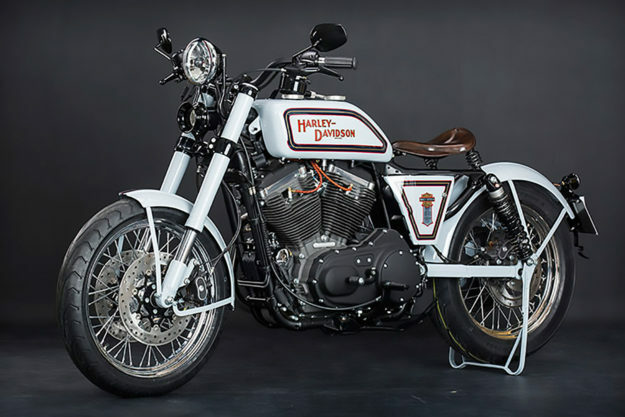 The concept is simple: a bike is chosen, and the ‘Custom King’ in each dealership reworks it as they see fit. The public votes, and a new King is crowned. 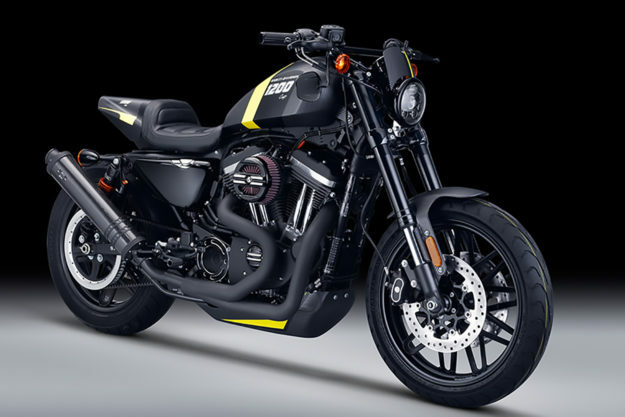 This year, Harley gave dealers their pick of three Sportsters: the Iron 883, the Forty-Eight, and the new Roadster. Here are our favorite entries from the 2017 crop—ranging from the ultra-classy to the outright outrageous. Harley-Davidson La Rochelle, Lagord, France Full disclosure: we have a soft spot for dustbin fairings, especially when they’re this well executed. 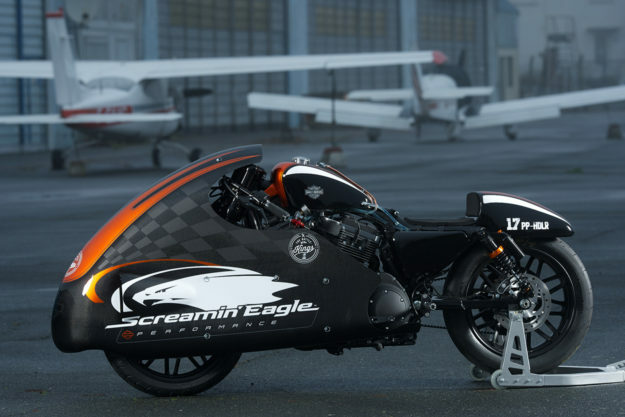 The La Rochelle entry is one of the most single-minded bikes in the contest; the point driven home further by the bold ‘Screamin’ Eagle’ graphics on the fairing. Harley-Davidson Banská Bystrica, Slovakia We’d normally write off electric-style airbrushing as garish, but in this case we’ll take it. 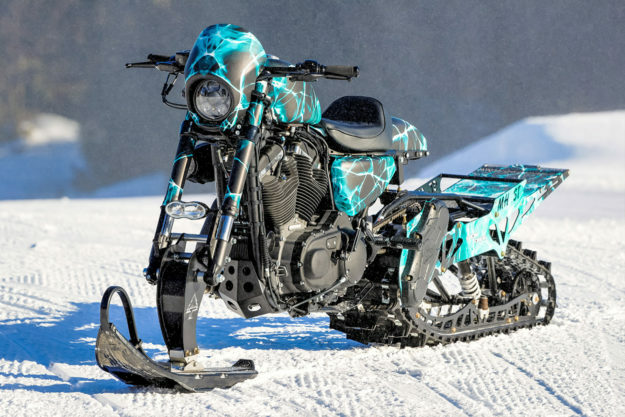 Because—holy cow—these guys just built a Harley-Davidson snow bike. The Slovakian crew at Banská Bystrica started with a Roadster, then ditched the wheels, swing arm and shocks, and got busy. Harley-Davidson Praha, Czech Republic If you know your Harley-Davidson history, you’ll pick up hints of the 1920s Eight-Valve Racer in this Roadster from Czechoslovakia. To nail the look, the Praha dealer fabricated everything from the fenders, through to the side covers and gas tank (which holds the oil tank too). Harley-Davidson Capital, Madrid, Spain There’s a lot to appreciate on this perky Roadster from Spain—from the crisp paint job right down to the neat fly screen and bash plate. But it’s the re-interpretation of the tail end that’s really intriguing. Compare this to a stock Roadster, and you’ll notice that the main section of the stock seat pad is still present—but the rear’s been replaced by a sharp cowl that hints at the original shape. 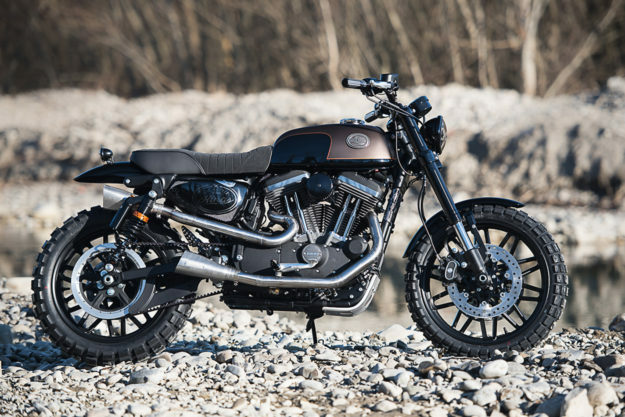 Harley-Davidson Bologna, Italy The Roadster’s taller stance and bigger wheels make it ripe for a little scrambler styling—and where better to build that than in Bologna, home of the Ducati Scrambler? From the fuel tank, through to the bench seat and rear fender, everything just sits together flawlessly. Look closely, and you’ll also notice a pair of custom shock mount linkages, jacking the rear up further. And the upswept and tucked headers—complete with Akrapovič cans—are a welcomed break from the quintessential high scrambler pipes. Harley-Davidson Poznań, Poland The Forty-Eight is easily one of the best-looking Sportsters in Harley-Davidson’s quiver—and a hoot to ride too. So why mess with it? 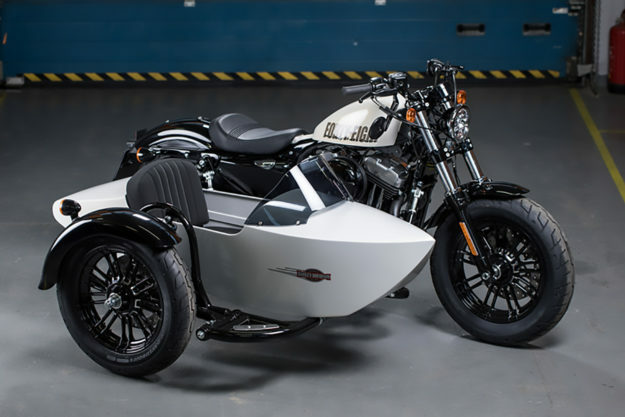 Harley-Davidson Poznań opted to leave the Forty-Eight mostly stock—and built a sidecar hack to accompany it instead. That’s our selection—what’s yours? Scoot over to the competition website to see all the entries, and to cast your vote.